Best Sellers: Stop Whining Start Living; Proper Care and Feeding of Marriage; Proper Care and Feeding of Husbands; Bad Childhood Good Life; Ten Stupid Things Women Do to Mess Up Their Lives; Ten Stupid Things Men Do to Mess Up Their Lives; Ten Stupid Things Couples Do To Mess Up Their Relationships; Parenthood by Proxy; The Ten Commandments; How Could You Do That?! 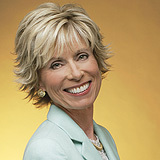 As one of the most popular talk show hosts in radio history, Dr. Laura Schlessinger offers no-nonsense advice infused with a strong sense of ethics, accountability, and personal responsibility; she’s been doing it successfully for more than 30 years, reaching approximately 8.25 million listeners weekly. Her internationally syndicated radio program is also heard on XM Satellite Radio, CelleCast, and is streamed on the Internet and podcast via StreamLink. She’s a best selling author of eleven adult books and four children’s books, which range from the provocative (New York Times chart topper “The Proper Care and Feeding of Husbands”) to the poignant (children’s book title “Why Do You Love Me?”). Her support of children and family values is legendary, and she is, indeed, “her kid’s mom.” She writes a monthly column for NewsMax, a twice-weekly column for The Santa Barbara News-Press, and a daily blog (www.drlaurablog.com). Dr. Laura holds a Ph.D. in physiology from Columbia University’s College of Physicians and Surgeons, and received her post-doctoral certification in Marriage, Family, and Child Counseling from the University of Southern California. She was in private practice for 12 years. She’s also been on the faculty of the Department of Biology at the University of Southern California, and the Graduate Psychology Department at Pepperdine University. She has received an award from the Office of the Secretary of Defense for her Exceptional Public Service, and among her numerous other honors, has been the first and only woman ever to win the National Association of Broadcasters’ prestigious Marconi Award for Network/Syndicated Personality. In addition, Dr. Laura holds multiple trophies for sailboat racing, and is a Black Belt in martial arts. In the last several years, she has designed and handcrafted elegant jewelry for charitable causes, most recently for Operation Family Fund, which provides financial assistance to families of military personnel severely injured or killed in Iraq and Afghanistan. She has raised over $1 million for Operation Family Fund from the sale of her jewelry on her website www.drlaura.com, and from the proceeds from her 2007 Birthday Bash. Her eleventh and newest book, “Stop Whining, Start Living” was released by HarperCollins in March, 2008, and became an instant New York Times bestseller. Tough life for stay-at-home moms? Dr. Laura Schlessinger has been featured on a wide variety of television programs, including The Oprah Winfrey Show, A&E Biography, and Lifetime’s Intimate Portrait. She has also been highlighted in such publications as Time, People, and USA Today and has been a featured speaker on PBS and at the Museum of Radio and Television. The reward for doing right is mostly an internal phenomenon: self-respect, dignity, integrity, and self-esteem. Victimization status is the modern promised land of absolution from personal responsibility. Because it’s possible to do, and you have the right to do it, doesn’t mean it’s the right thing to do. If you want to listen to Dr. Laura on the radio, click here to find where you can hear The Dr. Laura Program. She is known for her no-nonsense advice about life, relationships, careers—basically anything a caller asks about. If you cannot listen to her show from your hometown, you can always listen to Dr. Laura live through different forms of delivery service: (1) on her website at http://www.drlaura.com/listen, (2) via XM Satellite Radio Channel 155, or (3) via phone through Cellecast at http://cellecast.com/drlaura. Dr. Laura has a wide variety of successful books on relationships and living a successful life. Take a glimps of some of Dr. Laura's Best Sellers by visiting Dr. Laura's Books.